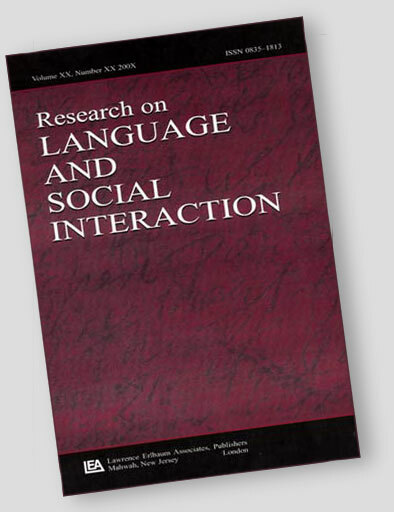 What’s it like to submit a paper to Research on Language and Social Interaction, and to review others’ submissions? In the first part of his blog, Søren Beck Nielsen reported on sending in a paper. Now he reports on his experiences as a reviewer – how a reviewer gets invited, why they might accept, what they have to put into their comments, and where the gratification lies. ROLSI has a very good reputation for its reviews. I’d first heard that when, like many other CA researchers, I went to the International Conference on Conversation Analysis at UCLA back in 2014. One of the evenings, I joined a conversation between two distinguished and highly experienced scholars who talked about doing reviews for ROLSI. They talked about how ROLSI managed the review process is very differently from what they knew of other journals – and for the better. From my own experience as a reviewer I could certainly relate to why they felt that way. In this second blog I’ll try to elaborate why. The account will be less specific and to some degree also less personal than the previous one, on submitting a paper to the journal. I have to be careful not to comprise the double-blinded relationship between authors and reviewers. I have no idea who the authors are behind the manuscripts I’ve read that ended up being rejected, and the authors shouldn’t know who I am. But there is plenty to say that doesn’t betray confidences, and ought to be of interest to anyone who’s been invited to do a review – and perhaps even more to those yet to receive the call. A review for ROLSI begins with an invitation to participate from the editor. Since the editor has a bird’s eye view of the broad interaction analytic field, you can assume that you’re asked because your expertise is relevant. When I’m asked to do a ROLSI review, I think: ‘what an honour’ and ‘exciting to get a glimpse of current, possible state-of-the-art research at an early stage’. But I also worry: ‘do I really have the time for this?’ Among others, academic work at modern universities involves a continuous high workload with teaching obligations, supervision, administration, conferences, and research deadlines. But there’s also often the possibility of priority. Compared to many other professions, researchers are allowed and expected to administer their own schedules to a large extent. Should reviews then be given priority? Definitely. Let me consider two of the reasons why. We begin with a social, professional, civic-duty reason: it’s the right thing to do! The community is dependent upon this kind of voluntary work. Without it, journals like ROLSI probably couldn’t exist and the community would loose one of its major resources, ensuring good, solid knowledge on matters that we tend to find important. I’ve outlined how reviewer comments have profoundly improved my own study. Another reason for saying ‘yes’, then, is to return the ‘favour’, that is, to invest the time and energy that you hope for from your peers. If we expect to receive considerate reviews, we should be prepared to provide them ourselves as well. Moving on to a number of individual reasons that are perhaps somewhat less moralistic and, therefore, more interesting. Firstly, good interaction analytic research requires that scholars keep up with the latest developments in the community. That’s not always as easy as it sounds. Conference attendance is a good way to keep up with movements. Reviewing very latest research findings provides an excellent supplement. Secondly, doing critical readings and writing reviews, I suspect, improves your own paper writing skills and, thus, enhances your chances of successful publication. Countless English for Academic Purposes studies have shown us that academic papers exhibit pervasive genre features that vary across different disciplines and paradigms. So the argument here is that doing reviews for a journal like ROLSI strengthens the reviewer’s awareness of genre features that are strongly associated with interaction analytic studies. Moreover, doing reviews provides a better understanding of the entire publication process. This brings me back to my main point in this section: is the review process administered in an especially rewarding way at ROLSI? I’ve done reviews for other academic journals without being given any idea if there were other reviewers, or how they assessed the manuscript, and let alone what kind of a decision the review lead to. That may be a bit frustrating. It may make you wonder: ‘was my reading fair, my recommendation appropriate, and was my assistance overall helpful?’ As a ROLSI reviewer, you’re never in doubt about such matters. In addition to friendly and appreciative responses from the editor, you’re provided access to the same material that the author receives – without compromising the double-blindness. That is, you get see: the other (anonymous) reviewers’ comments, and the editorial decision plus possible recommendations. That’s highly valuable and ensures transparency. It makes you more aware that the review was used, how it was used, and what consequences it will have. Furthermore, it gives you a good sense of how your peers, and an editor, have assessed a piece of work that you’ve read quite intensively yourself: is there a shared understanding about what’s convincing and what’s not? This, I’m sure, can only come in handy next time you submit a manuscript yourself. The point of departure for this blog post, and its earlier twin, was that as an interaction analytic community, we need journals like ROLSI . That’s where our common interest in the interaction order is appreciated, and where we can rely upon the kinds of findings we need for our own work. I’ve shared some personal experiences about writing papers and reviews for ROLSI. Hopefully, they have managed to persuade you, if you needed persuading, that the effort pays off well. I highly recommend everyone to contribute actively to ROLSI as a submitting author and/or as a reviewer. If you have a great idea for an interaction analytic study, consider submitting it to ROLSI. And if you’re asked to do a review, don’t hesitate to say yes. I’d like to add to Søren Beck Nielsen’s very generous account my gratitude for, and appreciation of, the exceptional work that reviewers put in to their reviews for the journal; without them, the journal simply not exist, let alone have the success that it enjoys. Charles Antaki, Editor.